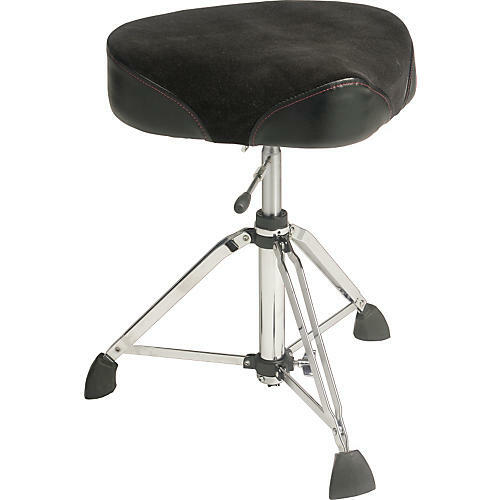 Gibraltar now offers a heavy duty, double braced with a soft Motorcycle syle Cloth Seat. Large 17" plush Cordura seat provides great comfort and support. Adjusts hydraulically from 19-1/2" to 26". Double-braced tripod has oversized Super Foot for a solid foundation.